Representative Mike Bost serves the people of the 115th House District. Mike serves as the Illinois House Republican Caucus Chair and currently serves on the following committees: Appropriations-Higher Education; Higher Education; Public Utilities (Republican Spokesperson); and Biotechnology Committee. The 115th District encompasses all or parts of the following counties: Jackson, Jefferson, Perry, Union, and Washington. Including but not limited to the communities of Anna, Ashley, Carbondale, Cobden, De Soto, Du Quoin, Mt. Vernon, Murphysboro, Pinckneyville, and Vergennes. Representative Bost’s election to the State Legislature followed 4 years in the United States Marine Corps, as well as 13 years in his family trucking business. He started work at Bost Trucking Service as a driver in 1979 and then went on to be the truck manager for ten years until 1992. 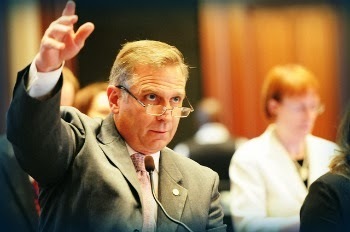 Read more about Rep. Bost.